Websites fall over themselves to be first with the news, though of course nowadays a piece of breaking news can get amplified so fast via social media that an ‘exclusive’ doesn’t stay exclusive for long. 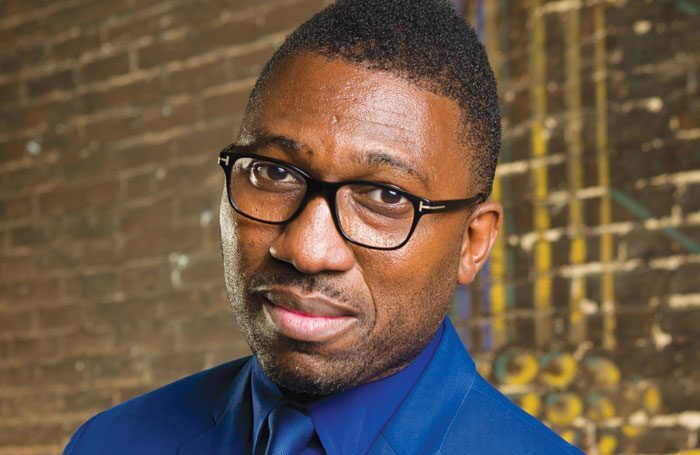 Still, The Stage got a bona fide scoop on Tuesday when it announced that Kwame Kwei-Armah has been appointed to take over the Young Vic from David Lan: currently the biggest job, in terms of reputation, this side of the National, thanks to the spirit of adventurousness that Lan has created there. Kwei-Armah’s appointment is not just a welcome return home for a notable London-born actor, writer and director who has been based in the US for the past six years, where he has been artistic director of Baltimore’s Center Stage since 2011. It is also a pretty large cultural statement – though one that shouldn’t be as large as it is. Now he will be able to name himself. And it’s true that I failed to identify him when I offered up the names of possible successors to David Lan back in June. I was taken to task on this at the time by Simeilia Hodge-Dallaway, founder of Artistic Directors of the Future, here in The Stage, who accused my list of being “dated, lazy and is a prime example of how the industry contributes to the invisibility of culturally diverse leaders”. Kwei-Armah was already in a full-time artistic leadership job (only one of my six suggested candidates was), but my suggestions were hardly all “safe” choices. And, as I wrote, dismissing the likes of Joe Hill-Gibbins, Carrie Cracknell, Simon Stone, Richard Jones, Emma Rice and Tom Morris as “safe” was disrespectful to each of them too. “If there’s anything they have in common, it is that none of them are ‘safe’,” I wrote at the time. He was right. Earlier in the same year, Kwei-Armah’s Elmina’s Kitchen also transferred to the West End from the National, and he became the first British-born black writer to have a play open in the commercial West End. In an interview at the time, Kwei-Armah said: “Even though it [Elmina’s Kitchen] is Olivier-nominated and Evening Standard award-winning and all of that, there’s still a perception that a traditional white audience won’t come out to see a play that is quintessentially black. Somehow we’re all so tribal that they’ll just go, ‘Oh, that’s one for the black audiences, so we can miss that one.’ So I decided to do it, hoping that my Casualty profile might do something to help overcome that and allow this play to go out around the country and to be seen by more people.” In short, it was time to test whether we were finally ready to “break the glass ceiling of having a black British play in the West End”. Now, 12 years later, he’s broken another glass ceiling. It has been a long time coming.